It's a PG-rated movie that is totally inappropriate for kids and is a snooze-fest for their guardians. Angry Birds is about.. er.. well, if you've played the mobile phone game that was wildly popular eons ago, birds who fling themselves towards the hutments of pigs. This movie tells you why the birds are so angry at the pigs. Duh! There is too much foul language for my liking but I am old-school. And when I was in the darkened theatre watching this movie, there were noisy kids screaming and asking their parents what every 3rd sentence meant. There was this particularly noisy and bratty girl who would scream like a banshee every time the birds were shot through the sling. After my last outing at Pixels, I'd promised myself that I would never watch another video game-inspired movie. 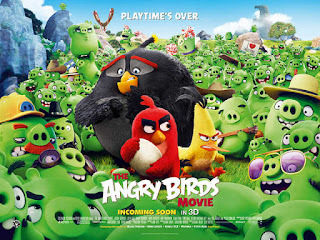 Blame it on the lack of a better option, Angry Birds: The Movie is a video game that has been stretched to its maximum length. The official trailer reveals many of the gags and jokes in the movie and that is a dampener. But there are still enough fart jokes and ridiculous puns to get you cracking up. There are too many loose untied threads, perhaps left to create the plot of a future sequel. The game was addictive for a few reasons. The movie not so much. What is the fun in watching a movie that you can play instead at a tenth of the cost of a ticket? 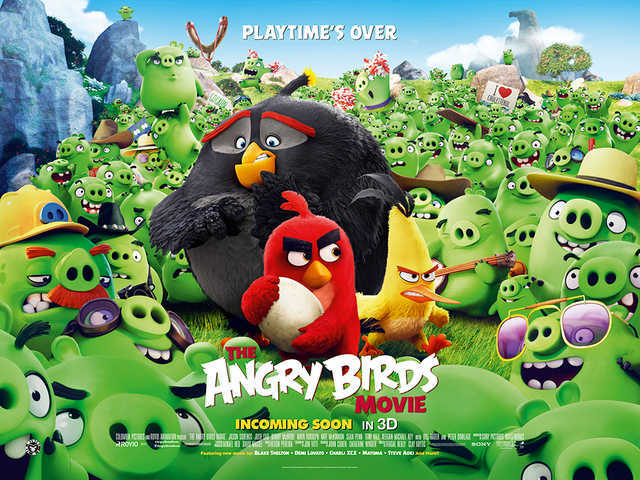 That said, Angry Birds is an average movie where you can walk in, in the second half of the movie and you wouldn't have missed much. Whatever you do, make sure you aren't surrounded by unruly, brats/young adults.